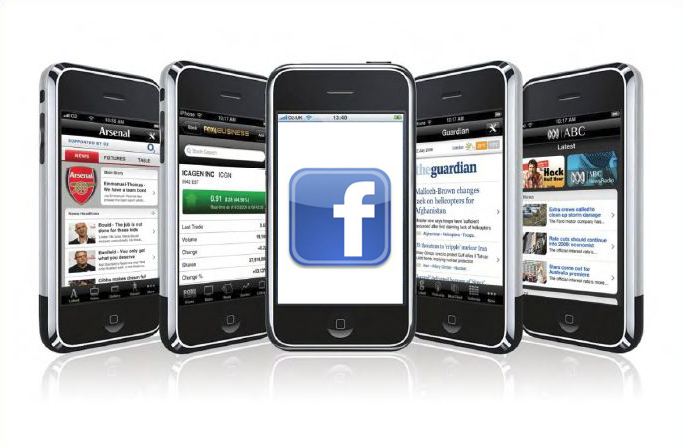 How many of your fans, readers and followers use a mobile device? Have you considered how mobile can benefit your business? Consumers expect companies to communicate seamlessly–not only from one social platform to the next, but also from one mobile device to the next. In this article I’ll share seven ways you can tweak your social media to appeal to mobile users. Users are spending more time accessing social media from mobile devices compared to desktop computers. How much more? Pinterest users are 92% mobile; Twitter users are 86% mobile; Facebook is 68% mobile; and Tumblr is 46% mobile. Given those numbers, it’s imperative that companies recognize the importance of delivering social media messaging that caters to and targets mobile device users. Facebook tabs are an integral part of marketing your business on Facebook and a good user interface experience is important for your tabs. You don’t want your users to waste time trying to view or navigate your custom Facebook tabs, you want them to easily read and interact with each tab. Make it easy for mobile users to navigate your Facebook apps. To ensure your Facebook tabs are accessible to both desktop and mobile users, you can either create your own mobile Facebook tab using this templateor use a third-party app provider such as Woobox, ShortStack or Tabsite. Smartphones have an interesting perk for social media marketers: they allow you to tailor information based on the user’s location. You can use that opportunity to serve hyper-targeted Foursquare ads based on a user’s location. 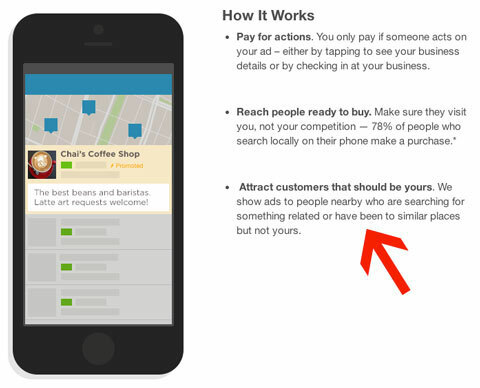 Foursquare lets you target nearby mobile users with their location-based ad platform. Make the most of your location-based ads by writing localized ad copy, creating sites optimized for mobile devices and using click-to-call extensions on Google. A responsive web design ensures your blog or website appears properly formatted on various mobile devices. It’s not too hard to find a responsive design theme, but hiring a developer may make things easier for you. A good developer can either install a new responsive theme or make a few changes to the code on your existing theme. Whole Foods has a mobile-friendly version of its blog and website. Have you checked to see if your online properties are as beautiful on mobile as they are on a desktop? If you’re not sure, test your site. 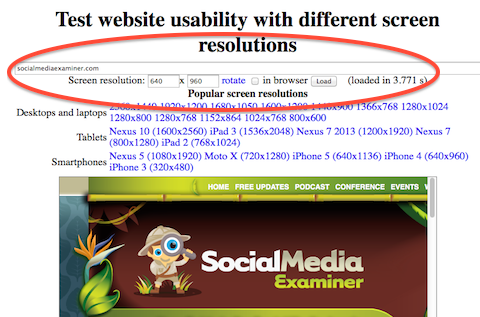 The Website Resolution Tool lets you test your website on smartphones and tablets, as well as desktops and laptops. You’ll also want to make sure your blog’s load times are in line with consumers’ expectations. 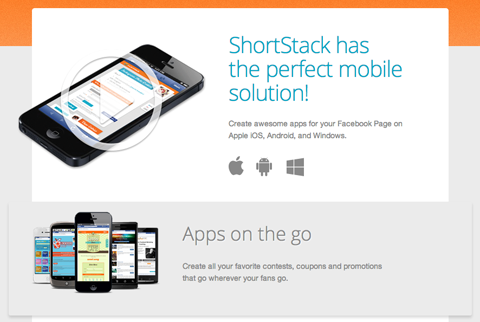 A keynote study found that 64% of smartphone users expect websites to load in 4 seconds or less. When a mobile site doesn’t load quickly, those users often click away. To make your mobile blog load as quickly as possible, Johan Johansson suggests reducing image dimensions, client-side processing and the number of files that need to be downloaded. 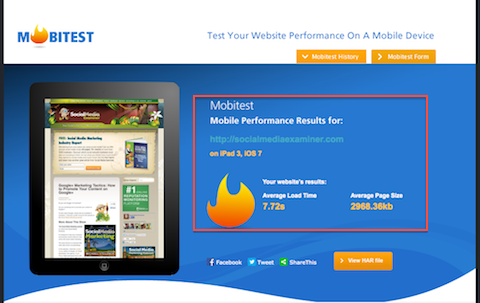 Find out if your mobile site loads fast enough at Mobitest. Social Media Examiner’s loading time on an iPad3 via Mobitest. Mobile device users don’t log in and out of their separate social networks to check the activity of people and brands they follow. Most often they’ve enabled push alerts so they can get updates in real time. Message fatigue happens when you post the same updates across all social channels at the same time and you inundate your followers and fans with repetitive messages from each network. As you put together your mobile social strategy, create a way to tailor your message to specific platforms. Start with the platforms that have the highest return for your brand. Ask yourself which social platform is working best for you on desktop. What about mobile? Are you watching your analytics to see whether platform success varies depending on how people are accessing it (i.e., via desktop or smartphone)? Scheduling tools like SproutSocial keep everyone informed of which messages are publishing where and when. To balance the delivery of your updates so they’re not constant or repetitive, use a scheduling tool like Buffer or a dashboard such as SproutSocial orHootSuite. Followers don’t stop engaging with you when you leave your desk and monitoring social media activity shouldn’t stop there either. Social listening tools like Mention have mobile apps that let you filter sources and create alerts (and they’re easy to set up). Being able to monitor social channels on the go ensures that you don’t miss social mentions that you may need to jump on right away. For example, especially when they concern your company’s reputation. GetApp helps you compare a variety of listening and monitoring tools so you find the right fit for your brand. 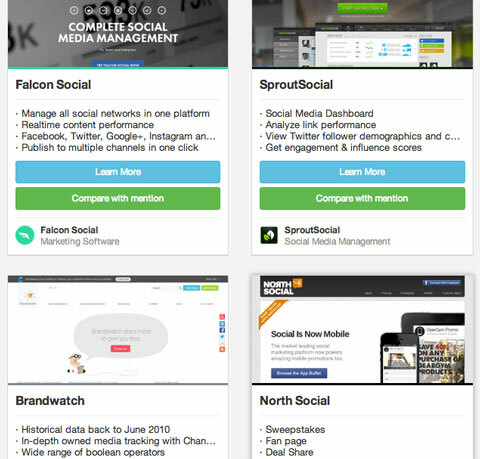 To see more social listening options and how they compare to each other, check out GetApp. Given that 79% of mobile phone owners and 81% of tablet owners use those devices for local searches, it makes sense to create or claim your local Google+ page and ensure that the listing has the correct information. You can learn more about how to use a local Google+ Page to target mobile in this video featuring Martin Shervington. Instagram and Vine rely on the thing many of us have with us at all times: our smartphones. These platforms, which were designed specifically for mobile devices, allow your brand to take pictures and video in the moment and immediately share the experience with your followers. This Ben & Jerry’s post on Instagram helped remind their followers of how the ice cream company got its start. While just about everyone uses these apps, they’re particularly attractive to younger users (a demographic many brands would like to reach). Make sure you’ve integrated Instagram and Vine into your real-time social mobile messaging. This article takes an aerial view of the rather large mobile social landscape. Take a few of these actionable steps today to better serve your social media followers on their mobile devices.